Hello and welcome to the November release Introductions! We are starting today off with the cutest little piggies ever! Hogs and Kisses are illustrated by Aida Zamora and they are just over the top cute in Aida's signature whimsical storybook-like style! It's hard not to fall in love these piggies! 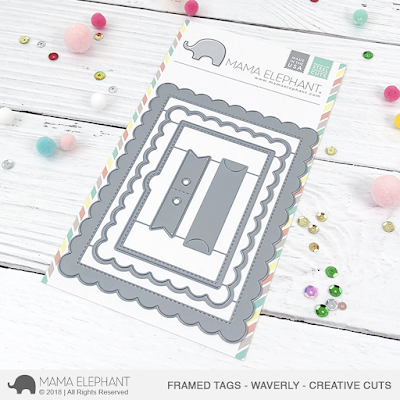 We also introduce our newest Framed Tag design with this super versatile and useful one called Waverly. You get two beautiful scalloped frames in this design! This set is also useful for gift cards! The rectangular frame cuts on 3 sides leaving one side as a flap to insert a gift card. The double banner is an optional hole insert if you want to turn these into tags. The other pieces with the two notches is spaced perfectly to die cut holders for a gift card! These gift card options are just in time for the holidays! Here are my projects using the new goodies. Hard to choose a favorite piggie image from Hogs and Kisses, but I knew I wanted to try the pig flying idea. Such fun with him flying with the balloon! With this card, I die cut the largest scallop frame from FT - Waverly to create a scallop shaped card. The heart background was watercolored. To soften it, I placed a vellum on top so the background becomes sheer. Thanks for stopping by today! Are you loving these cuties as much as I am? See you again tomorrow! These pigs are so very sweet!!!!! Yes please! 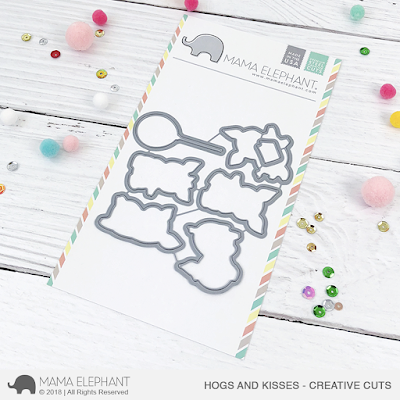 Super cute new set and awesome dies! Oh my goodness!! These little piggies are adorable!! The little piggies are simply adorable. 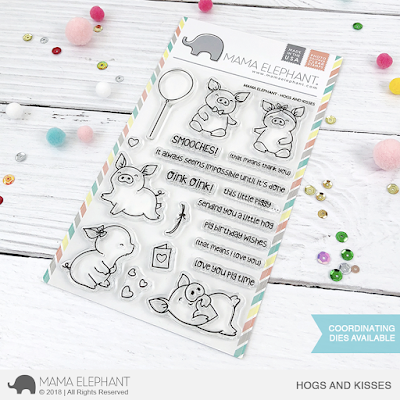 OMG cute cute piggies & what a lot we get with the new Wavely die set.